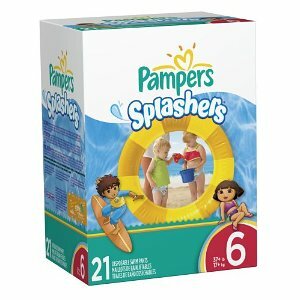 Get Pampers Splashers for just $8.19 Shipped. There is a $1 coupon and to get the extra 5% discount and free shipping you need to use Subscribe and Save (remember as always you can cancel at any time) This offer is good for size 3, 5 and 6. 24% Off @ Elegant Mommy!